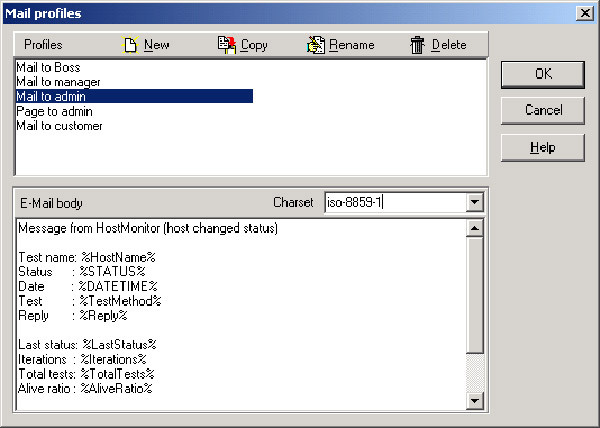 Server Monitoring Inform yourself on any current network problems. Real-Time Status Live, real time web hosting statistics on your server. Uptime Reports See how long your web hosting server has been up. Dedicated Server See how long your web hosting server has been up. Data Center Status Network graph on our many web hosting data centers. Reliability is the real key to success in any service business.TotalChoice Web Hosting understands this and has developed a complete network and monitoring system. Our Administrative Team Members have a 'birds'-eye view' of the network and servers at any given moment. When a problem is noted emergency notifications are sent out. We refer to this system as..."Project Hawk-Eye". 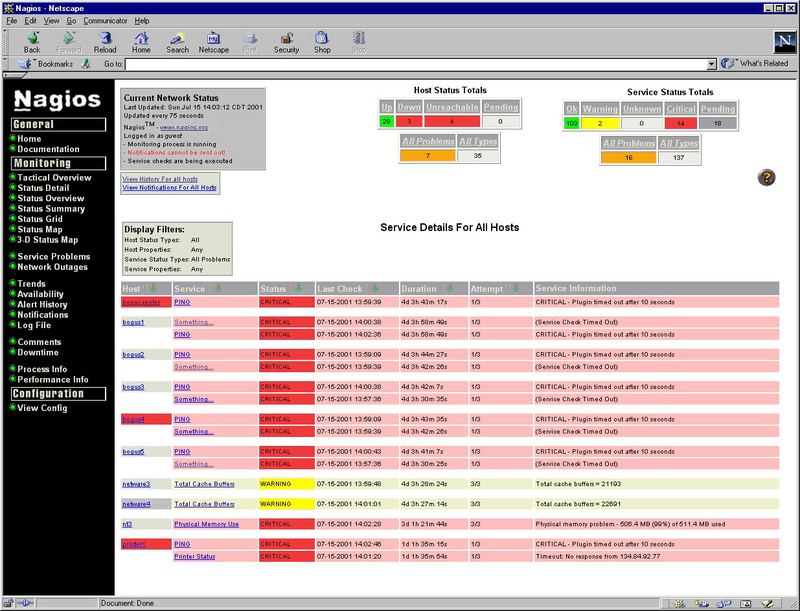 A view of the service problems screen, listing all the service details foreach server. This allows our staff a 'bird's-eye view' of each server andeach service. Just another tool we have given our staff. As you can see,TotalChoice is leaps and bounds above our competitors. Ask around; see whyour servers run at 99.9+% up time. The notification screen will list any problems that are currently active within the network or servers. This allows us to pin point the problem atits exact location without having to spend hours searching for the current flaw. All to ensure the great up time we give to our clients. 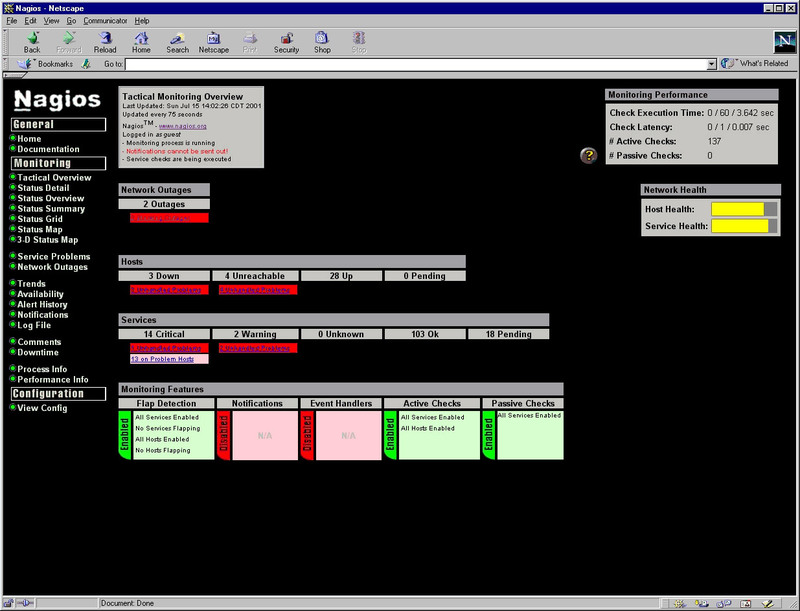 Our monitoring system is designed to instantly notify our staff when aproblem does occur. The monitoring software will send notifications via e-mail, sms cell phone, pager and instant message. We actively monitor ourservers 24 hours a day. This is part of the reason we can provide such great up time. 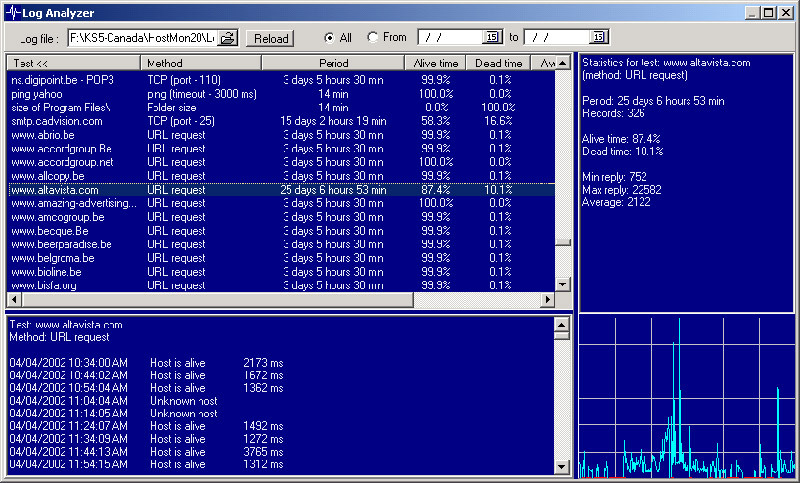 Monitoring our servers is only part of the job required in order to offer such great up time. Our administrative team actively reviews reports from the monitoring software. By reviewing the reports our administrators are able to locate issues before they become problems. Another reason why our uptime is so good! All high level managers and system administrators wear pagers to alert them of any and all problems. All managers are on call 24/7. All on site regular staff are alerted by audible siren, email and personal message when there's a warning or emergency. We actively monitor http, https, icmp, pop3, smtp, sql and cPanel. Our server status pages are openly available to the public. No password or registration is required to see the status of our servers.